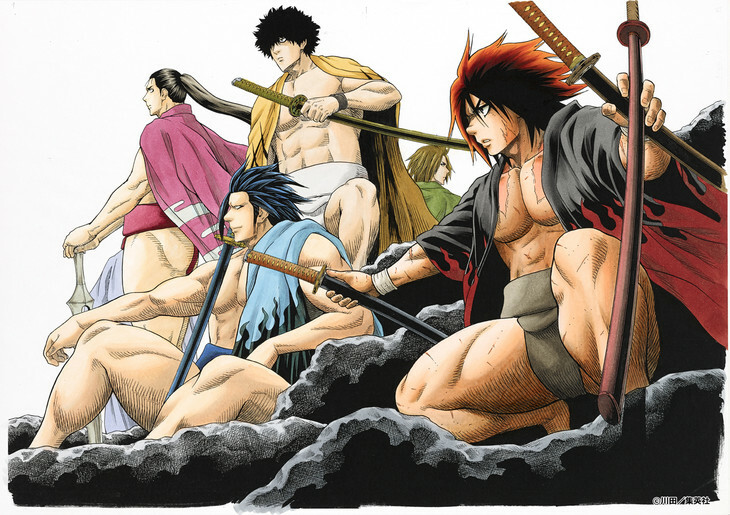 Hinomaru Zumo, the Shonen Jump manga about sumo wrestling, will soon wrestle its way into animated form. The manga by Kawada will be the subject of a TV anime adaptation, it was announced today. It is a divine ritual, a martial art, a combat sport—it’s sumo!! A “small” new student, Ushio Hinomaru, appears before the weak little sumo club of Oodachi High School! The words “big” and “heavy” are the rules to this sport, which does not fit this newbie any inch, but this guy goes and does what…!? Ushio and the small sumo club climbs its way to the top! The goal is Hinoshita Kaisan! A fired up high school sumo tale—no retakes allowed!! In January of last year, manga fans ranked Hinomaru Zumo as one of the series most likely to become Shonen Jump’s “poster child” manga after the end of series like Naruto and Bleach.